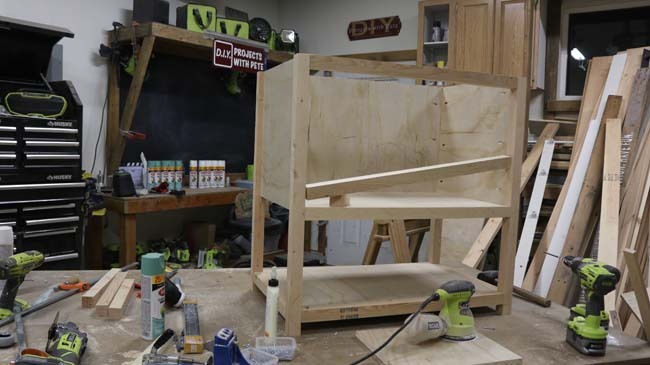 This tutorial will show you how to make a Kitchen Island Cart. I worked with Krylon® Brand to build this project and used Krylon® ColorMaster Paint + Primer - 25% More. 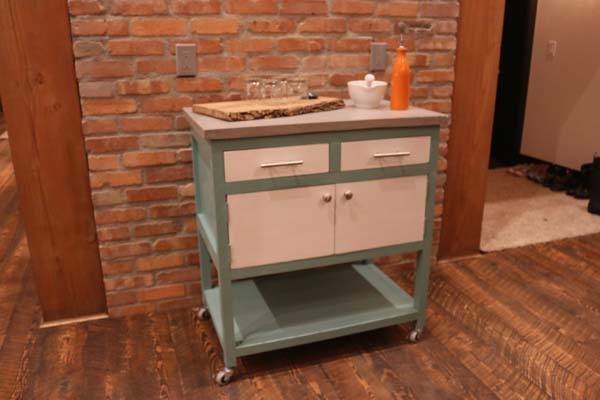 The Kitchen Island Cart is a useful and great addition to any kitchen that needs some extra counter space. It also comes in handy for all sorts of other occasions when hosting family and friends for get togethers and over the holidays. I'm sure that you will love having the kitchen Island cart around! Click here to Download the FREE Kitchen Island Cart Plans. glue, and Krylon﻿ ﻿ColorMaster Paint + Primer – 25% More in Satin Jade and Satin Bright White available at Walmart. 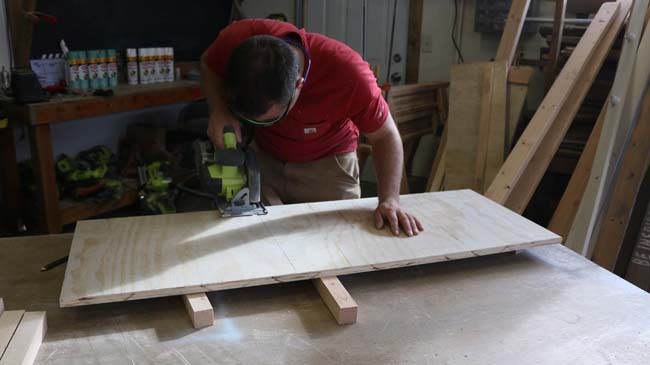 Get started by cutting the boards to size. 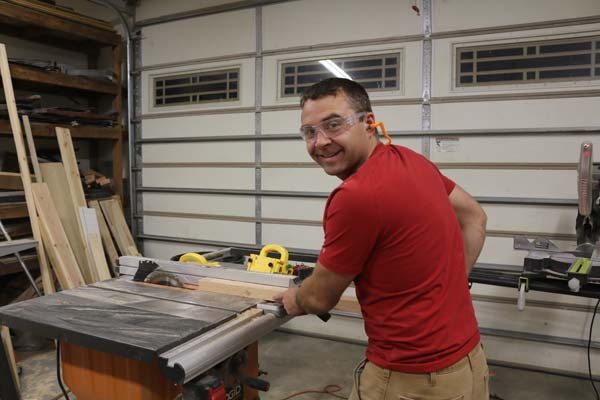 This project uses 2x2s as well as plywood so you will need to use a combination of a miter saw, a table saw, and a circular saw to accomplish the cuts. Assemble the base using pocket holes. 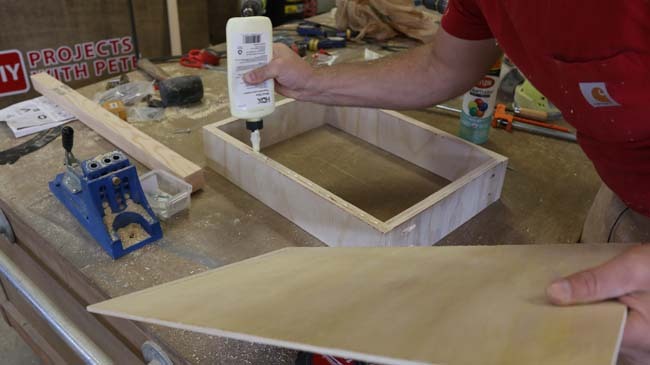 Attach boards to the bottom shelf and then attach the legs. 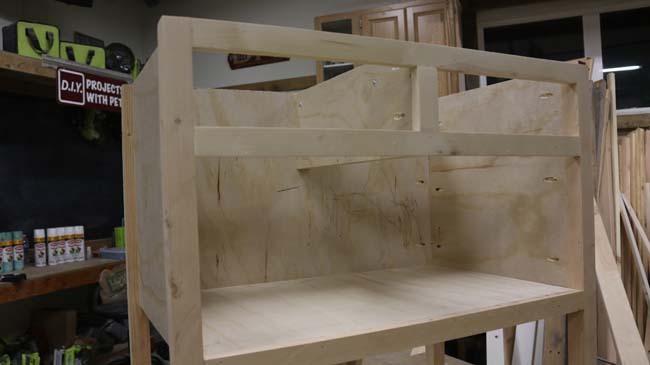 Attach the side walls for the cabinet area. Finally, attach the base of the cabinet. 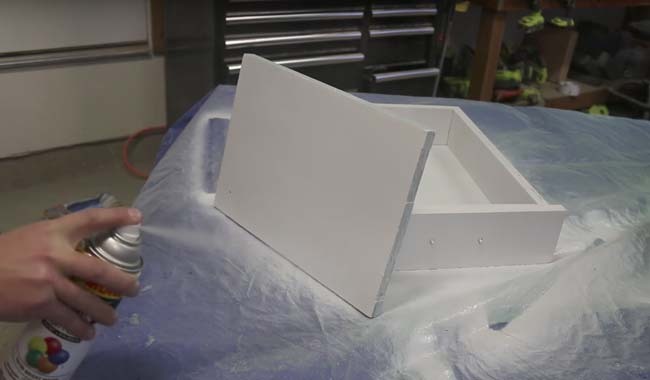 Before you can install the drawers, build face trim for the drawer to come flush with and a center support to attach the inner drawer slides to. 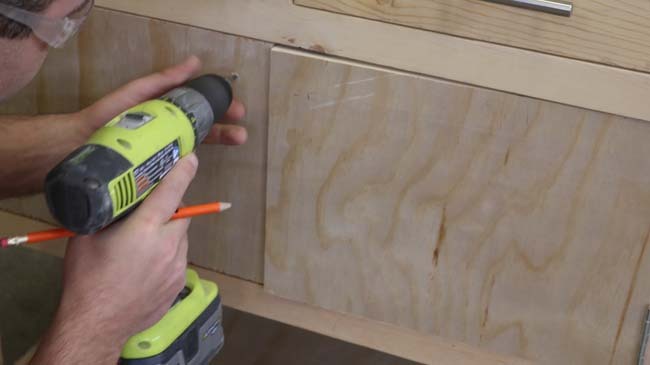 Build the drawers using pocket holes and glue. 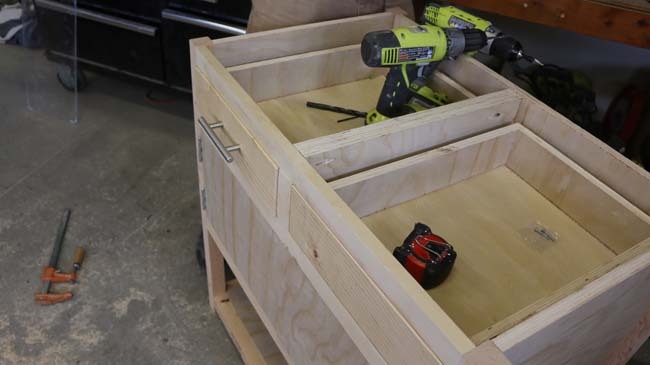 Once assembled, install the drawers and drawer slides. 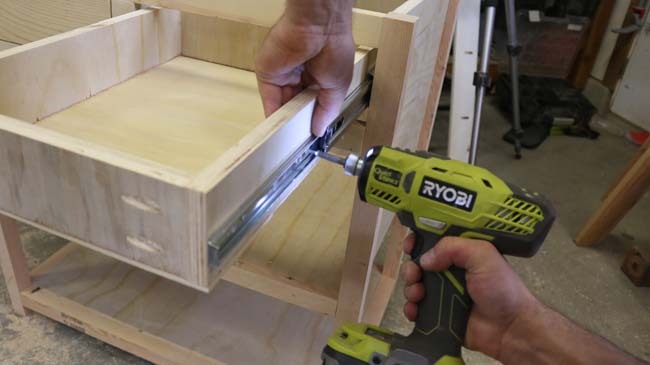 See the video for more details on how to install the drawer slides. Install the doors and hinges. 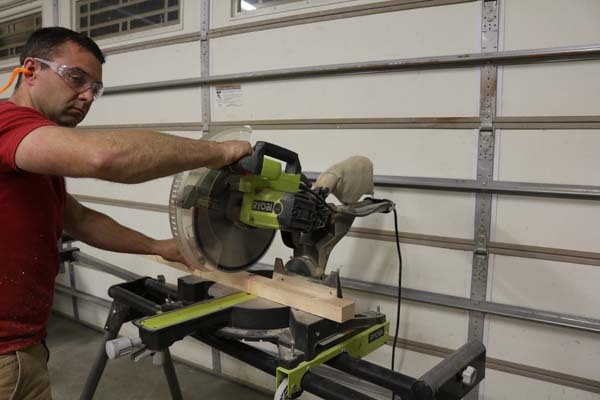 Follow the proper installation procedure for the hinges that you are using. I found the easiest way to install the hinges was with the cabinet on its side. 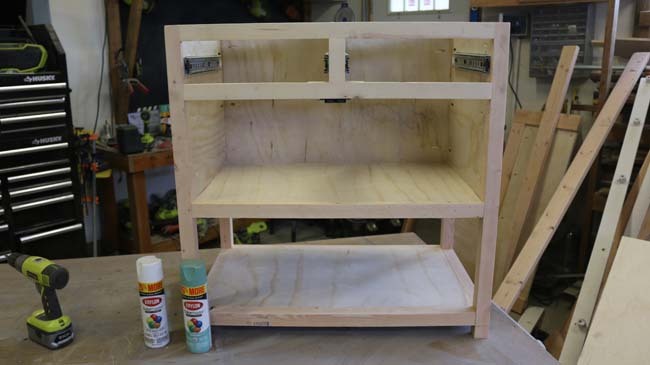 Build a table top for your Kitchen Island Cart. I chose to use concrete but you could use wood or anything that you think would look great and fit in with your kitchen. 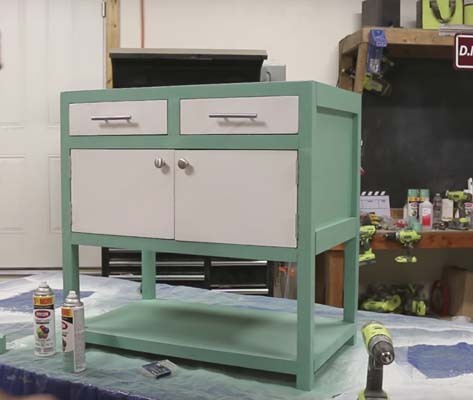 Now it is time to paint your Kitchen Island Cart. 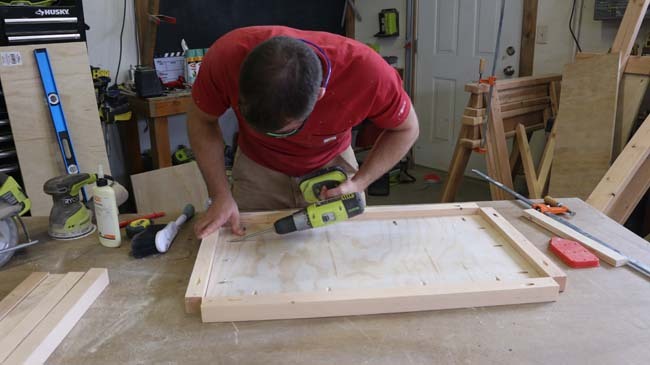 Remove all cabinet hardware and prep the area with plastic or drop cloths. 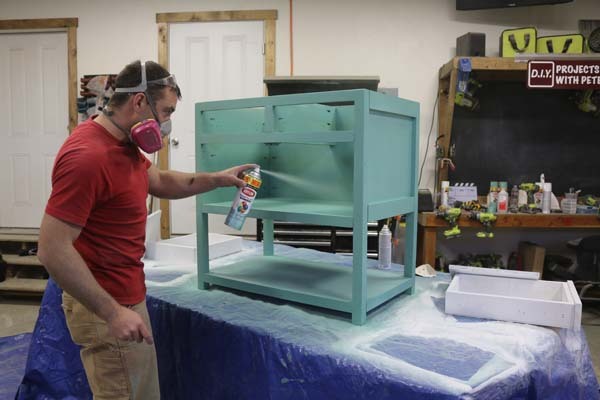 Grab a good respirator and make sure you have proper ventilation during the painting process. Make sure you read the safety and application instructions on the back of the can before you begin painting. I used Krylon ColorMaster Paint + Primer - 25% More in Satin Jade for my main color on the kitchen island. I used Krylon ColorMaster Paint + Primer - 25% More in Satin Bright White as an accent color on the drawers and doors. The Krylon ColorMaster Paint + Pimer = 25% More had great coverage and I was really pleased with the final product. It is a paint + primer so there is no need to use a separate primer. I used 3 to 4 coats of paint on the project. Once the Kitchen Island Cart is painted we can reinstall the hardware, drawers, doors, and tabletop. Now you can enjoy the functional and beautiful new addition to you kitchen. 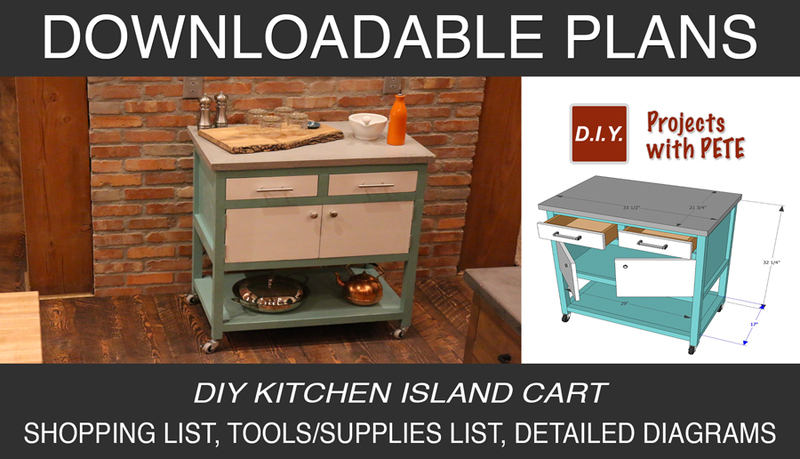 Download the FREE kitchen island cart plans here!